Look for a heater that has overheat and tip-over protection. Read the manufacturer’s instructions for use before you operate the heater. Choose a heater that will heat the area you need to cover. Don’t get one too small or too large. Look for safety certifications: Nationally Recognized Testing Laboratories (NRTLs), Underwriters Laboratories (UL), Canadian Standards Association (CSA), and Intertek Group (ETL). Always observe the manufacturer’s guidelines for clearances around the heater, but as a general rule, three feet is a good distance. 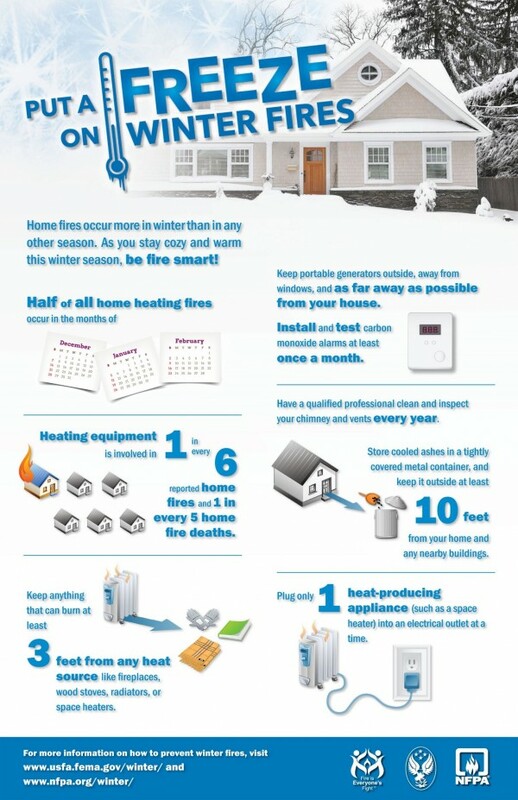 Keep flammable materials away from the heater. Use a wall outlet with sufficient power capacity. Avoid extension cords for any portable heaters. Regularly clean and check the heater. Shut off the heater and unplug it if you are not using it or if you leave the room where it is being used. Some heaters may be designed to work in damp areas, but most are not. Avoid using the heater in bathrooms or humid areas. Never touch the heater with wet hands.